If you’re planning on installing a water well at home in Imlay Township, you can have access to water no matter what happens to public water services. As we’ve seen, some municipalities have failed to provide good water services to the public. This resulted in the water supply being negatively impacted. Having your own water well circumvents all of these problems. You’ll have a water source that you can monitor and control. That way, you know exactly what’s in the water you drink. Lower costs are another great advantage to having a home water well. Paying for the initial installation might not be cheap but aside from that, the cost of maintaining the filtration system and the pump is quite affordable. After the initial payment, the maintenance costs for the water well is limited. Beyond this, the water itself is free. You can quite literally use as much as you want without worrying about an expensive water bill every month. 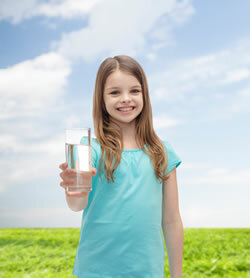 Well water can be filtered without adding things like chlorine. All the water you normally consume from a city or municipal tap has some degree of chlorine in it to help keep it clean. Chlorine was initially viewed as a breakthrough because it stops the spread of many more serious diseases. Today, you can take advantage of better methods such as a private well and its own filtration system. This gives you the same health benefits without the chemicals. Water from a personal well is known to have a much “softer” taste, especially when compared to municipal or city water. The reason for this is that water you get from your regular municipal water system is treated with chemicals that make it “harder”. The water you get from the well is natural and softened. This softer water offers a pleasant, refreshing taste and is better for your hair and skin while bathing as well. Filtration systems installed for your well water are significantly more environmentally friendly when compared to the water treatment plants in urban centers from which water supplies are taken. Using well water actually reduces the use of pollution which is caused by the pollutants and the chemicals associated with water treatment plants. Installing a private well makes you eligible for various tax benefits. In addition to the fact that you don’t have to pay a monthly water bill, you get a tax break for your initial investment which can help offset the higher cost. With all of these benefits, it is no wonder people are no looking for a private way to consume water, with the help of water well drilling professionals by their side. Get in touch with Ries Well Drilling to know more about their services and how they can help you get better water in Imlay Township. Call 586-784-9516.